Some of the strongest stories get a great deal of traction out of the contrast between the beauty of travel and the painful realities of homecoming. As the collection progresses, the lush descriptions of Guatemala and El Salvador begin to shadow even the stories in which the countries themselves do not appear, a painful, dreamlike counterpoint to difficulties of immigrant families. When the action of “Guate” shifts from Guatemala to the cold plains of the American Midwest, a short glimpse of children making snowmen powerfully brings home the reality of the narrator’s dislocation, with a minimum of fanfare. Unfortunately, Vargas’ plot structure is not always the equal of her prose. While most of these stories begin with compelling premises, many of them have a hard time capitalizing on their initial interest. Sometimes, as in “The Keys,” the narrative closes off too neatly; the narrator, having embarrassed her grandfather into staying away from the neighborhood brothel, writes: “The rest of my summer there, Abuelo never went out at night again. Both keys stayed side by side on the hooks.” Here, Vargas’ straightforward prose works against her; the clarity of the statement and the final image don’t allow for the kind of resonance the story demands. Other times, as in the elliptical story of female friendship and unrequited love, “All That’s Left,” the conclusions seem too diffuse. On the plane back from Guatemala, the story’s narrator tries to comfort her friend, who has confessed her romantic love. “When I tried to hold your hand on the plane, you pulled away,” the narrator concludes in the last two lines. “Instead, you watched the clouds.” The intimacy of the second person feels confusing, and the reader is left without enough evidence for any conclusion—a marked contrast to the forthright and often funny revelations many of her other narrators provide for us. 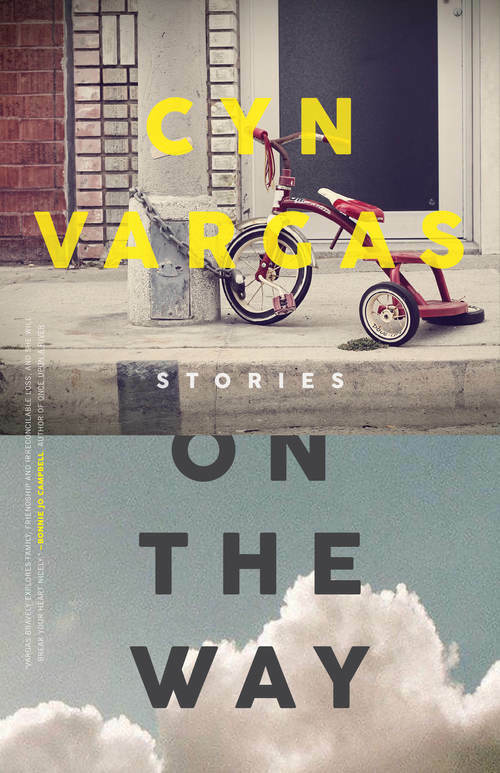 Vargas’ stories are strongest when they’re grounded in the vivid reality of childhood, a place where honesty is both intimate and brutal, and beauty too omnipresent to merit more than a careful mention. In the title story, “On the Way” – one of the strongest in the collection – Vargas demonstrates her skill with these kinds of childhood moments. There was no one in the park. Benny was wearing the track jacket that used to be his dad’s. The wind blew my hair around and some strands stuck to my lips. Some birds called to one another between the trees and the sun came out, making our shadows darker. I watched mine, falling on the pathway bordered by dying grass, swaying left to right as I walked. My hips nearly took up the whole sidewalk. The language in this passage manages to evoke how adolescence forces women to acknowledge their own bodies. Watching the shadow of her own hips, the narrator is aware, perhaps for the first time, of being alone with a boy, and the power of that aloneness—and the fact that Vargas can provide this understanding without calling undue attention to her own prose—is a testament to her strengths as a writer. Taken as a whole, the stories in On the Way stand at the same sort of crossroads as many of Vargas’ narrators: aware of the importance of their experiences, but not quite able to fix them into position. Familiar with the workings of memory and confession, they reach for moments of closure they can’t quite achieve. But even if these stories don’t quite live up to heights of their strongest passages, there is still much here to reward an attentive reader. 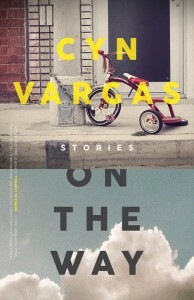 Vargas builds her stories out of small but resonant moments, the best of which provide us with the texture of life. Sam Allingham’s essays and criticism have appeared in The Millions and Full Stop, and his fiction in No Tokens, Five Points, and One Story, among others. He lives in West Philadelphia. Find him on Twitter at @SamSamAllingham.